The aviation industry rightfully places a great deal of emphasis on safety. Pilots receive hours of training in all aspects of safety to attain and keep their ratings. 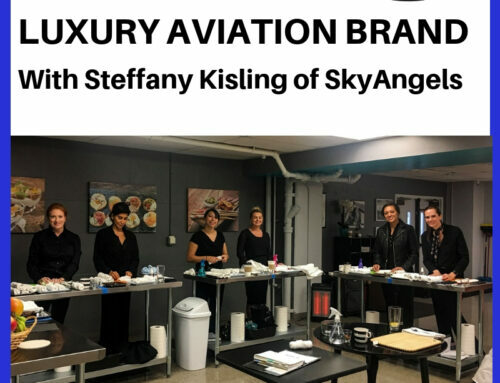 But unfortunately, not everyone that works in this industry has the same level of training even as ramp and line personnel encounter many of the same risks as pilots in their day-to-day work. A cost-effective (emphasis on effective) solution is vital. Charlotte Adams – Aviation Maintenance Magazine. Also from Aviation Maintenance Magazine – The cost of ramp accidents is high. According to the Flight Safety Foundation, approximately 27,000 ramp accidents and incidents occur annually worldwide and around 243,000 people are injured — about nine per 1,000 departures. The cost to major airlines was estimated to be at least $10 billion a year. The International Air Transport Association (IATA) reckons the direct costs of airplane damage to be about $4 billion a year. 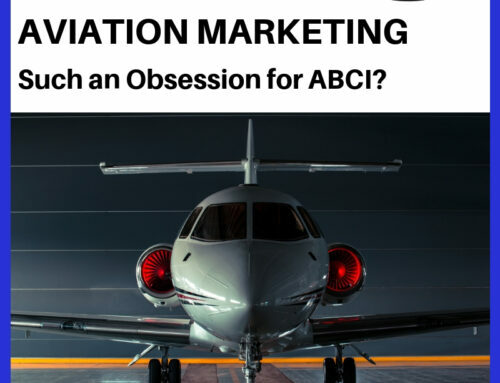 IATA attributes the problem to “minimal oversight” of ground service providers in the selection and licensing process, in systems implementation, training and development, and in auditing, reporting and compliance procedures. Fatalities also occur. GAO found that of 29 fatal ramp accidents (across all sectors of aviation) from 2001 through 2006, 17 involved ground workers, eight were passengers and four were pilots. These misfortunes typically occurred when employees were struck by objects such as vehicles, or were crushed, or fell. Of the eight passengers who died, five were struck by propellers. Training for ramp and line workers can be expensive. The current state of the economy and a high rate of turnover make training ramp or line staff a challenge. 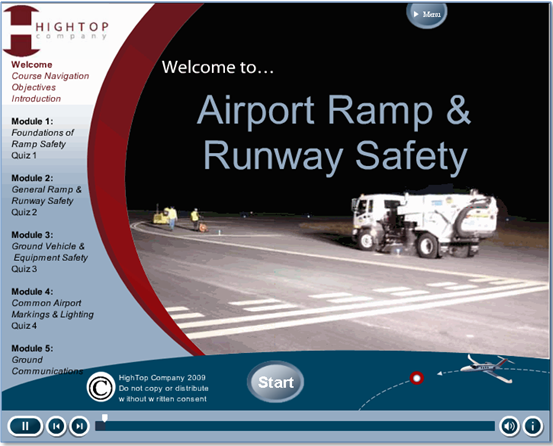 The Ramp Safety for Line Personnel course from HighTop Company is an online course that covers driver training, airport markings and lighting, communications, safe operating practices, identifying risks and risk mitigation. 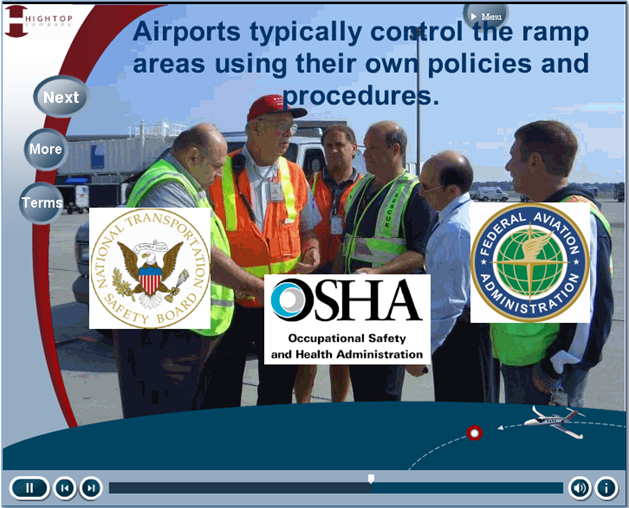 It covers the material suggested in the FAA Advisory Circular (AC 150/5210-20) Ground Vehicle Operations on Airports, plus ramp safety procedures and many more industry standards and best practices. The format is very accommodating of the reality of business at airports and FBOs. Learners can log on and complete the modules at their convenience from any internet-equipped computer. 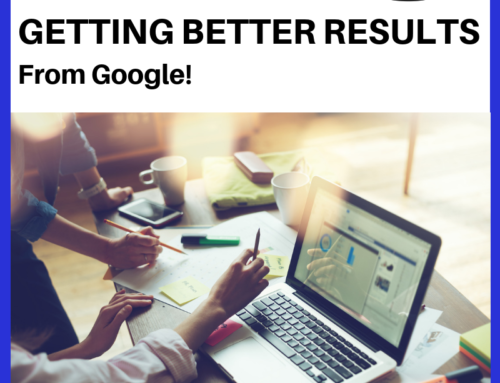 The bookmarking feature improves on this – each time the learner logs into the program he is taken directly to the place he left off. The photography and video are very realistic of the realities of working at a busy airport. The drawings and diagrams are clear and helpful. They keep the learner’s interest and help her remember key concepts. 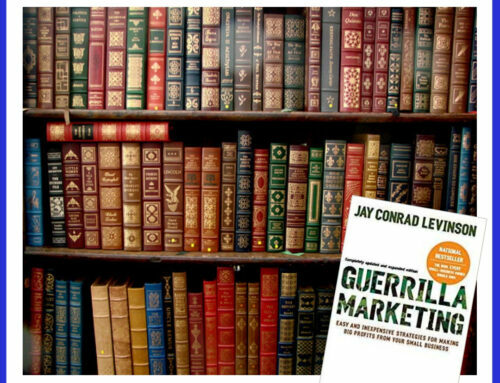 The tone of the course is practical, useful, and sincere. The course mentions a few shocking incidents (a ramp worker that walked into a propeller, for example) that make it clear that the material needs to be taken seriously. The style of the course is current and polished. The course controls are intuitive and easy to use. The course provides clear learning objectives and signposts about progress. This allows the learner to control the pace of the course and thoroughly understand concepts before proceeding. 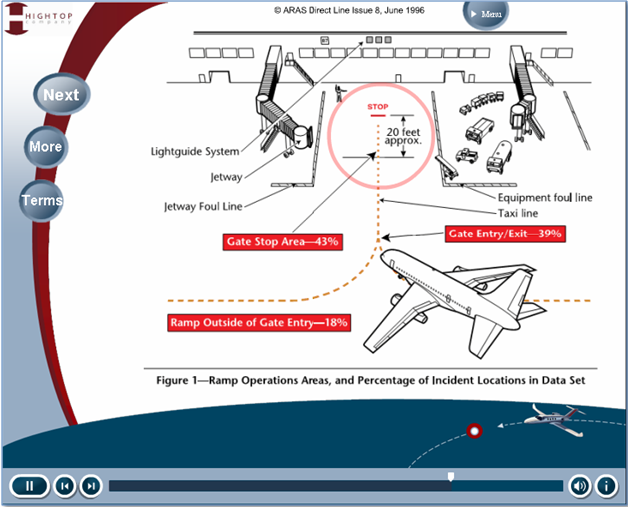 The photography and video offers clear and realistic pictures of a typical ramp environment. Diagrams provide clear and common understanding of concepts and vocabulary that will help ramp workers work as a team with pilots and other aviation personnel to achieve smooth operations and a safe operating environment. 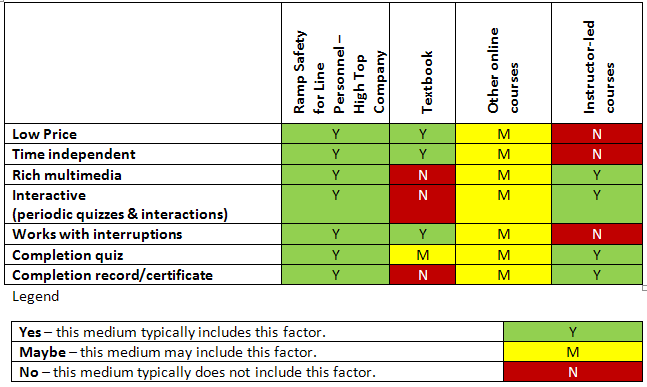 The ideal training materials are cost-effective, time independent, offer rich multimedia experiences, include interaction to keep the learner’s interests, accommodate completion during multiple sittings with interruptions, and include a means of providing completion records and certificates for your personnel files. 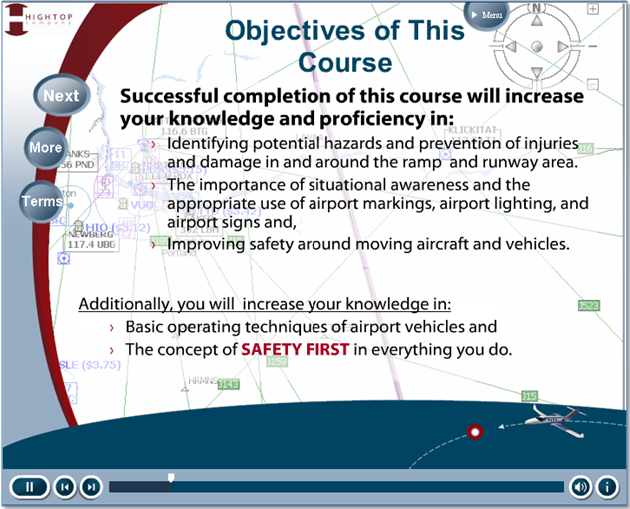 This is an ideal, timely course which should be used for initial and recurrent training for ramp and line workers. It should be required for every non-pilot who coordinates, dispatches, or enters the ramp environment in the course of doing his job. Pilots and their supporting counterparts have got to be some of the safest people in these industries and business period. I think you kind of have to be if you’re going to be floating around in the air. I have total respect for those people that make a difference in the everyday safety of the aircrafts as well as the ramps and everything else associated with flying. 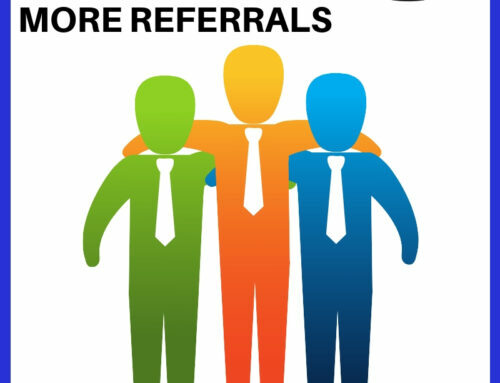 Thanks for posting a great article. What do I exactly get buying a license for this course? I’m sure he can assist you. i like to know more about ramp. Sound interesting, if we are buying the licenses what will we got and can we have right to translate it to our own language.